Don't be fooled. It takes significant effort to realize significant results. I assume by now all of you have taken up their new workout routines for 2015. This article may thus come a bit late, but even if you are happy with your 2015 routine by now, in 6 months from now you will have to switch things up to make further progress. Against that background it may be worth bookmarking (hit "ctrl + d") this article for later reference. I mean, results like 10% reduction in body fat, 5% increased lean mass and significant strength gains in 12 weeks" or a 50% reduction in body from 16% to 8% body fat that's something you may want to go back to in 6 months, right? Alternate Squats & BP for GAINS! The HMB-Powered Overreaching Regimen from Wilson's 2014 study is quite extreme and will stretch any of you to his / her personal limits, but it's going to yield results... with and without free acid HMB supplementation, by the way. Phase 1 (blue), a daily undulating perio- dized resistance-training program w/ 3x full body workouts/week for 8 weeks. I do have to warn you, though, this workout is intense and a baseline protein supplement as well as plenty of food are required to sustain a workout like this, where your workout weights are increased systematically whenever the prescribed amount of repetitions were completed. Whether you decide to copy the HMB supplementation protocol is up to you. If you want to, but don't have enough money, try to take 3x2g of regular calcium HMB instead of the pricey 3g of free-acid HMB - I am pretty sure that's going to work, too. The crossfit-esque 10-week workout from a 2013 study by Smith et al. (2014), which did shed an extra 8% of body fat of the already lean frames of the 16% body fat participants of the respective study (read more about the results). If you want to try it, you'd have to follow a crossfit-based high intensity power training (HIPT) program using basic gymnastic skills (handstands, ring, and bar exercises) and traditional multiple-joint, functional, resistance exercises (squat, press, deadlift, Olympic lifts) performed as quickly as possible at a high intensity (low repetition, high percentage of 1-RM). 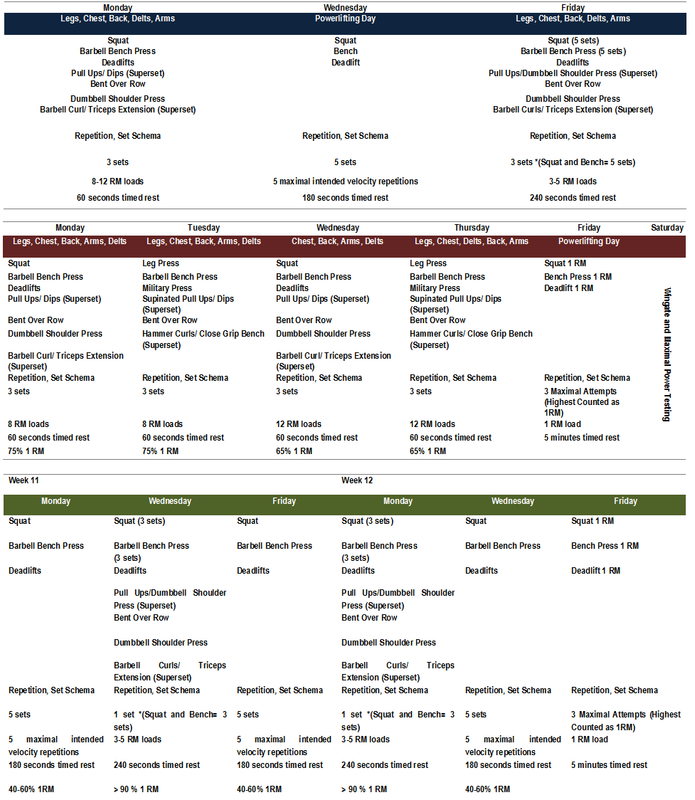 Table 2: Two representative weeks of the training program, click here to see the rest (Smith. 2014). You obviously don't have to copy the subjects and perform all your training sessions at a CrossFit affiliate gym, but you would be well-advised to hire a trainer if you don't know how to perform the exercises listed in Table 2. You will do workouts in which you will perform a given number of sets / reps as fast as possible and workouts where you have to perform as many reps/sets as possible in a given amount of time ranging from 10-20 minutes. 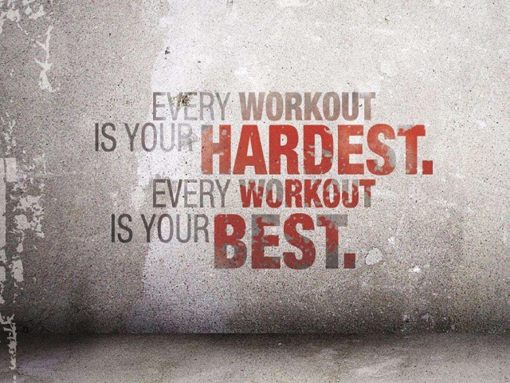 Practically speaking this means you are competing against your personal best on every exercise in every workout. In contrast to the strength/skill portion of the exercise session, where you won't have a prescribed recovery time, the WOD sessions require you to complete all the exercises as quickly as possible with no prescribed rest period (yes, this means you rest only so long to make sure you don't pass out). 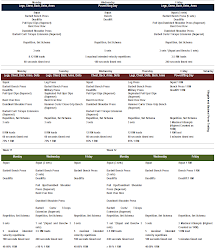 You can review the full workout program here, but I guess you would even see results if you simply did the workouts outlined in Table 2 in an A / B style for 10 weeks. Crossfit is highly injury prone - even if a trainer is present. 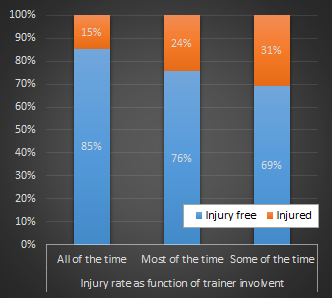 When a trainer is present only "some times" to watch what the trainees are doing, however, the injury rates are two times higher (32% vs. 15%) than when a trainer is present "all of the time". That's at least what an impressive 2014 study from the University of Rochester School of Medicine and Dentistry in 486 men and women workout out in crossfit gyms indicates (Weisenthal. 2014). A word of caution: I have to warn you. Neither the Wilson nor the Smith workout is suitable for rookies. With the Wilson workout you may easily run from the 2-week overreaching into a chronic overtraining phase as a rookie - specifically if you don't know your own limits and fall for the common mistake that "doing more helps more". Stick to the two weeks of 5x/week workouts and don't tell yourself that you could sustain another week of overreaching and wouldn't need the tapering phase and/or repeat the same cycle right away. That's a 12-week intervention after which you should return to a "normal" workout routine and repeat it no sooner than 2 months later. Similarly, the crossfit-esque workout from the Smith study should (a) not be done by people who are still struggling with their their O-lifting techique and/or (b) are not already well-conditioned. And this is no arbitrary "disclaimer". Studies show that the mean injury rate in CrossFit is approximately 20%. In that, males who usually cannot leave their egos at the door are significantly more likely to sustain an injury than females | Comment on Facebook! Weisenthal, Benjamin M., et al. "Injury rate and patterns among CrossFit athletes." 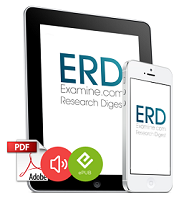 Orthopaedic Journal of Sports Medicine 2.4 (2014): 2325967114531177. Wilson, Gabriel J., et al. "The effects of 12 weeks of beta-hydroxy-beta-methylbutyrate free acid supplementation on muscle mass, strength, and power in resistance-trained individuals: a randomized, double-blind, placebo-controlled study." European Journal of Applied Physiology (2014).